There are two times of the year where homeowners often start remodeling their kitchens. Many chose spring while other chose fall. 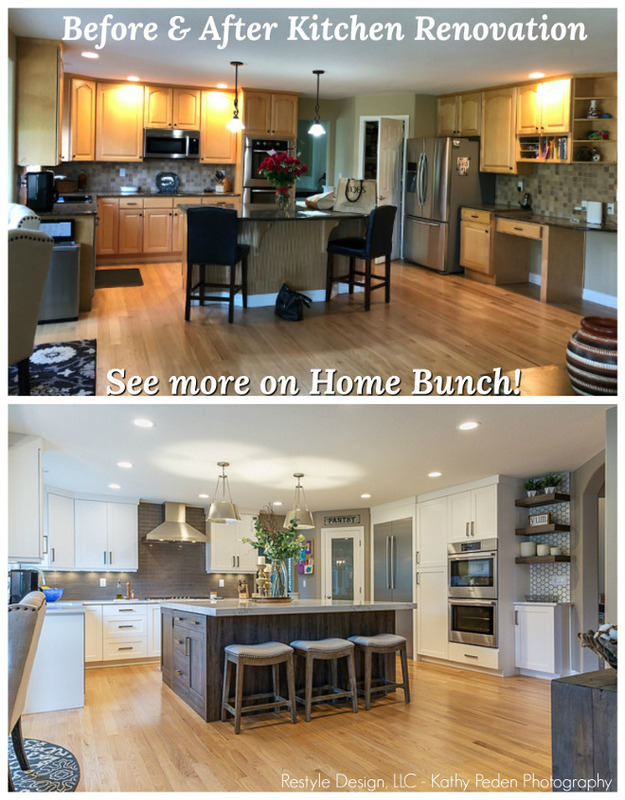 After a long winter, spring is always a great time of the year to remodel a kitchen and so is fall. By starting renovating your kitchen in fall you will leave plenty of time to get your kitchen ready for the holidays at the end of the year. Knowing the kitchen style you want should make your decision a little easier when remodeling your kitchen. 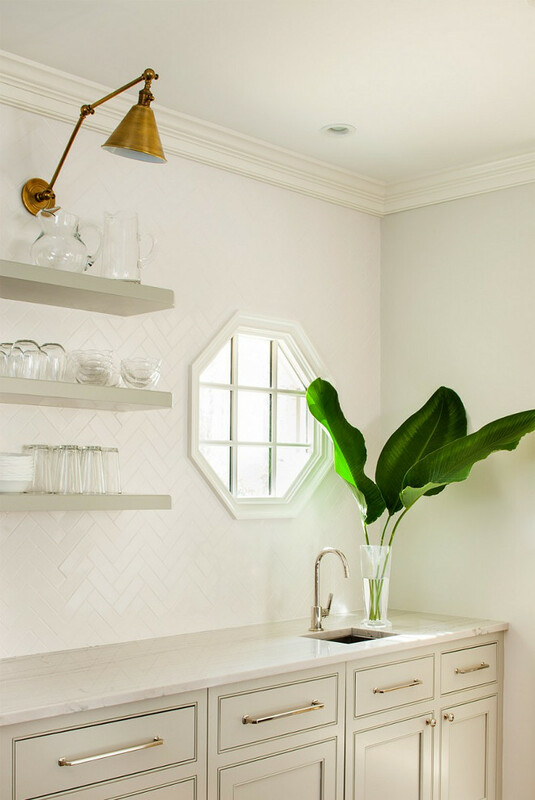 Kitchen remodels vary depending on the part of the country and according to J.R. Smith, owner and operator of H-Towne & Around Remodelers, the struggling oil & gas industry has not had a large impact on the local remodeling market in Houston, Texas. “We’ve seen our ups and downs over the last few months just like we always do, but there does not appear to be a decrease in demand for remodeling services. In fact, we’ve seen higher numbers than we did last year. 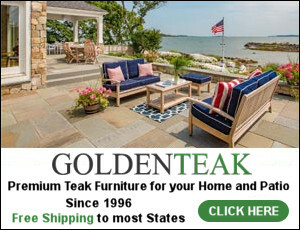 My guess is that it’s because of all the flooding we had over the spring and summer.” This tells me that kitchen remodels will always happen regardless of the country’s economy because we remodel our kitchen for many reason, including home resale. 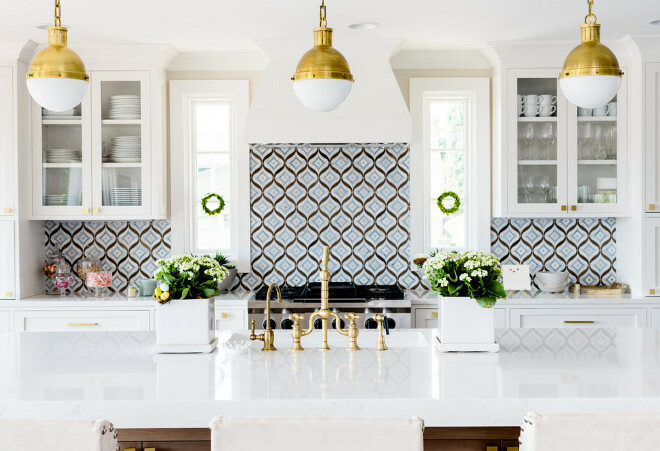 Take a look at these 10 kitchen remodeling styles. They should not only inspire you but teach you a little about each style. Farmhouse kitchens are often warm and they offer great functionality and comfort. 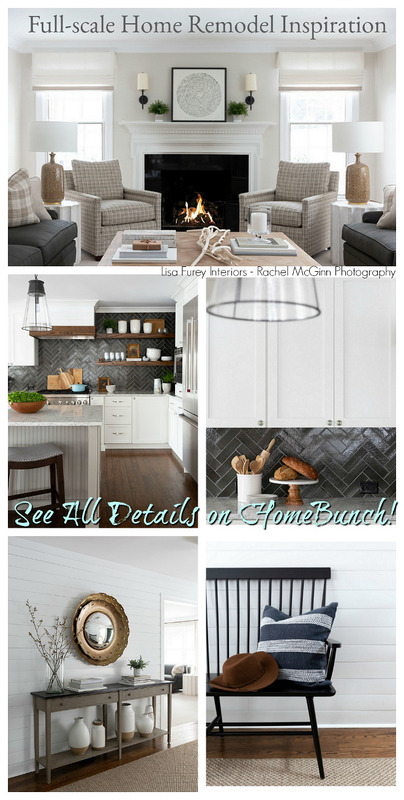 Farmhouse kitchens feature open shelving, wide farmhouse sinks and classic wood flooring. Lighting is usually uncomplicated and it should have a vintage appeal. 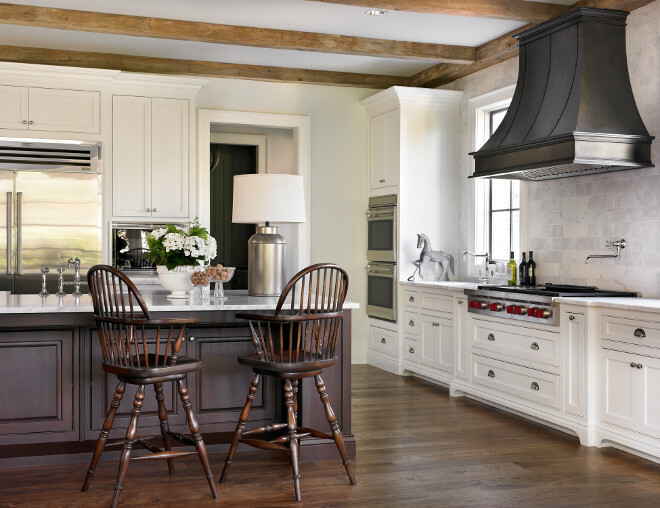 The cabinetry in this farmhouse kitchen is from Dura Supreme and the shelving is solid wood. Dimensions: This island is approximately 38″ x 83″ and the overall kitchen including the eating area is approximately 15′ x 25′. Whether the space is large or tiny, cottage kitchens are designed to feel welcoming. 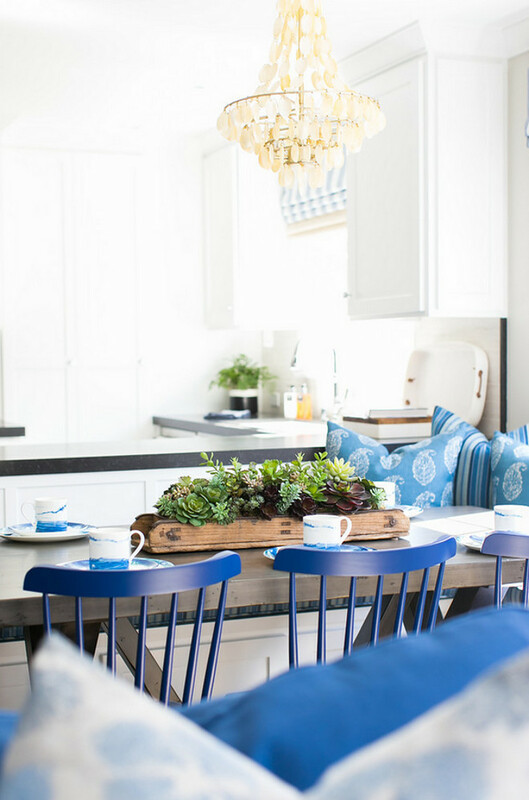 Cozy, cheerful and unpretentious, a cottage kitchen brings you back to simpler times and evokes a sense of easy, carefree living. 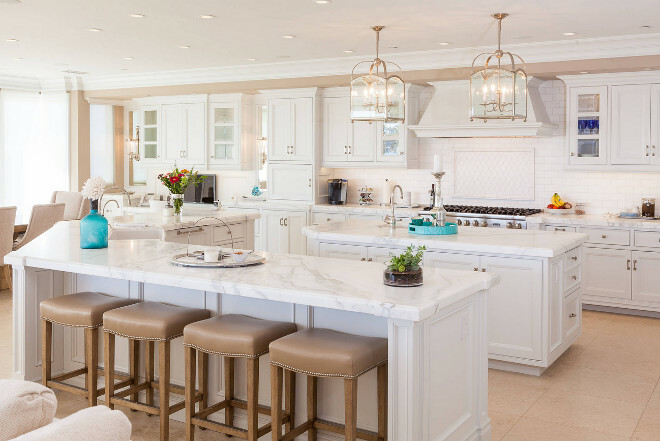 Here, the designer combines high-end appliances, white cabinetry with classic coastal colors. Transitional kitchens often blend the old with the new and adds a touch of creativity to a flexible space. 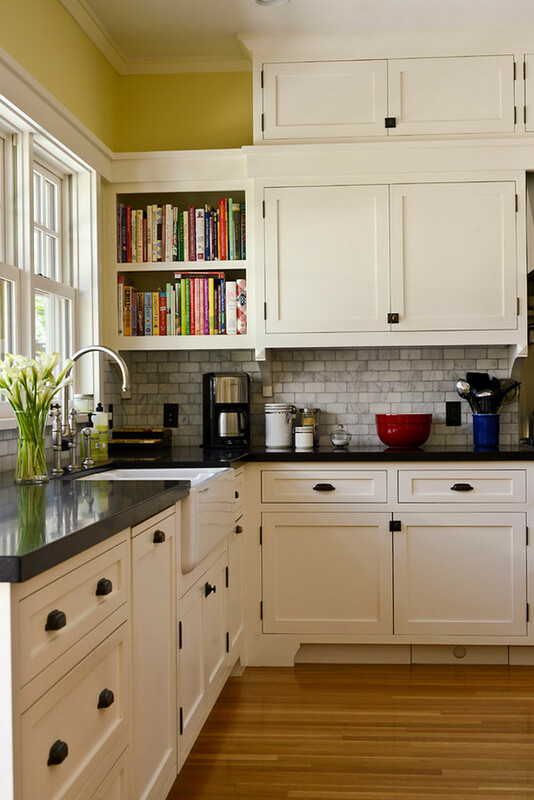 To get the look of a transitional kitchen, try to mix components from different eras. 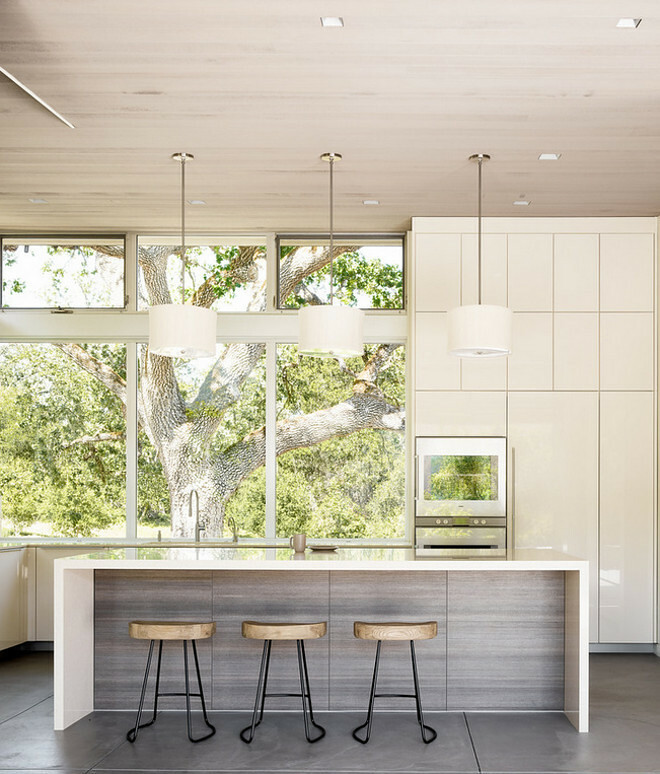 Contemporary kitchens often feature frameless cabinets, sleek and simple hardware, strong horizontal lines and a lack of ornamentation, but contemporary kitchens don’t need to be stark or cold, add natural elements such as a wood ceiling, like we see above, to add warmth to your space. With its emphasis on natural materials, fine craftsmanship, and sturdy proportions, the Craftsman style is a period look that works well with today’s comforts. 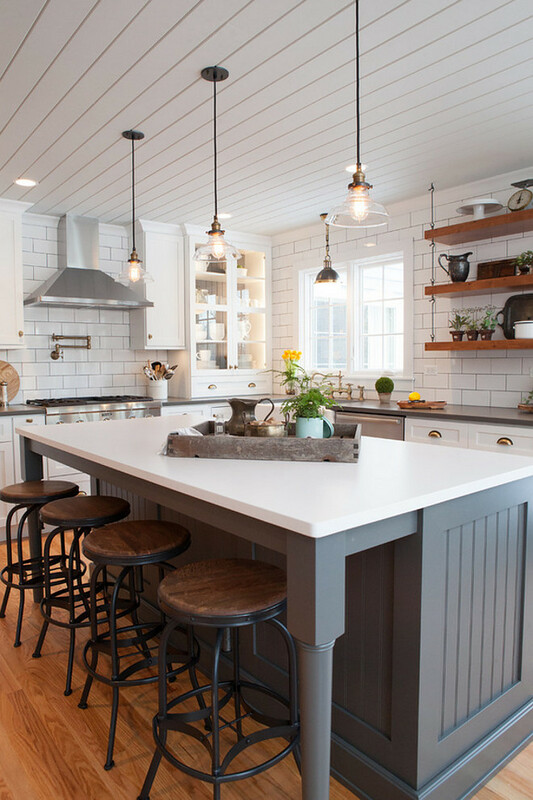 Craftsman kitchens often feature vintage-inspired lighting, pulls and latches hardware, hand-made tiles and old-fashioned faucets. 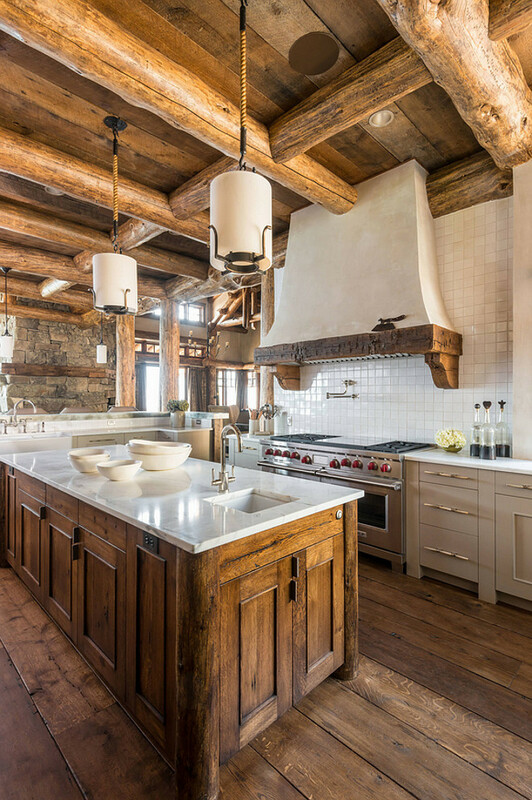 Rustic kitchens are in huge demand and although some are less-rustic than others, rustic kitchens always feature distressed or reclaimed wooden materials such as flooring, cabinets, wood ceiling and kitchen hoods. 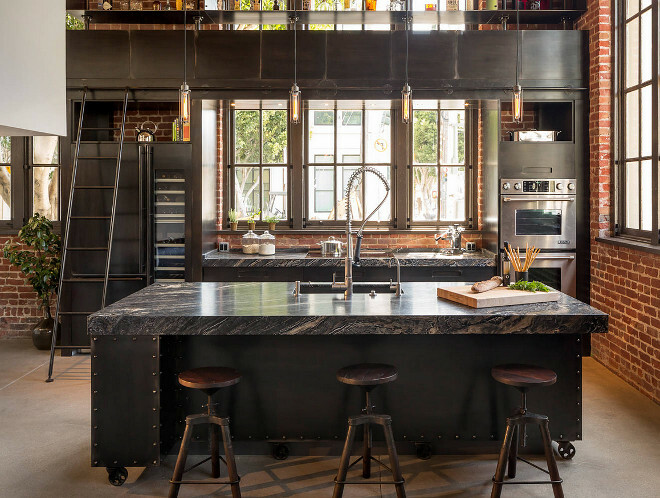 Industrial kitchens all about raw textural materials. 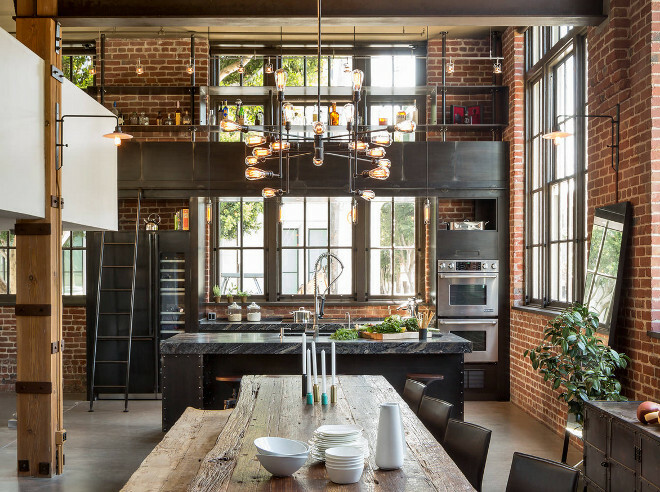 In simpler terms, think brick, tiled and even concrete walls while planning for the industrial kitchen. 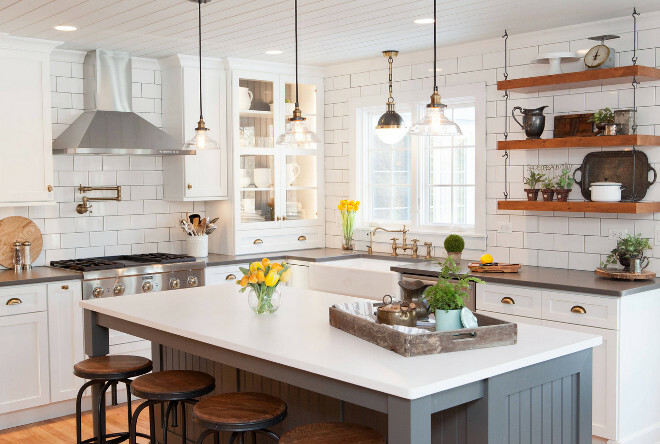 Brick walls obviously are a favorite among homeowners and currently lead the pack, but do not forget the value of exposed steel surfaces and the right flooring, which elevate the kitchen to a whole new level. Industrial Kitchen Steel Cabinets: According to the designers at Muratore Construction + Design, the homeowner didn’t want solid metal cabinets that would create a clanging racket every time he dropped a piece of silverware into a drawer or shut a cabinet. So Bayon’s firm designed and built wood cabinets, then had another company, Berlin, fabricate steel panels to cover everything. The countertops are Silver Brown Wave marble. 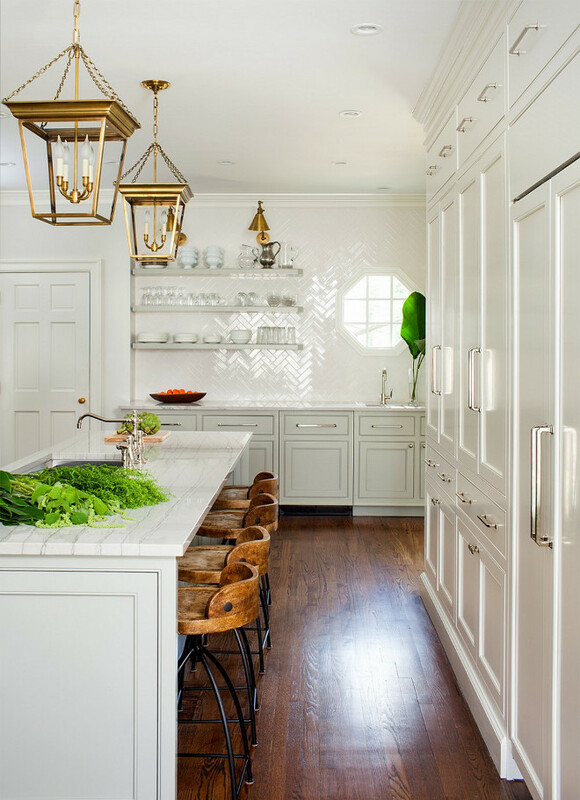 French country kitchens have the perfect balance between earthy and chic. 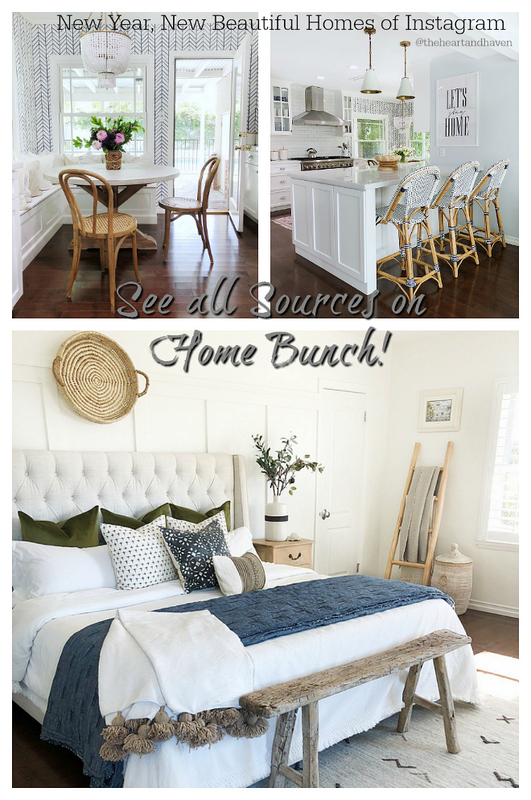 French country style infuses a home with incomparable warmth, just like the one we see above. Traditional kitchens are all about balance and symmetry. Nothing is too loud nor too modern. Every element should complement the next. Traditional kitchens often feature classic elements such as white marble countertops, coffered ceiling and traditional cabinet styles. Classic kitchens, in short, are kitchen designs that will stand the test of time. 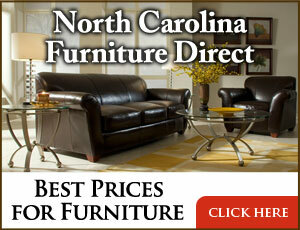 They usually feature white or cream kitchen cabinets and simple architectural details. 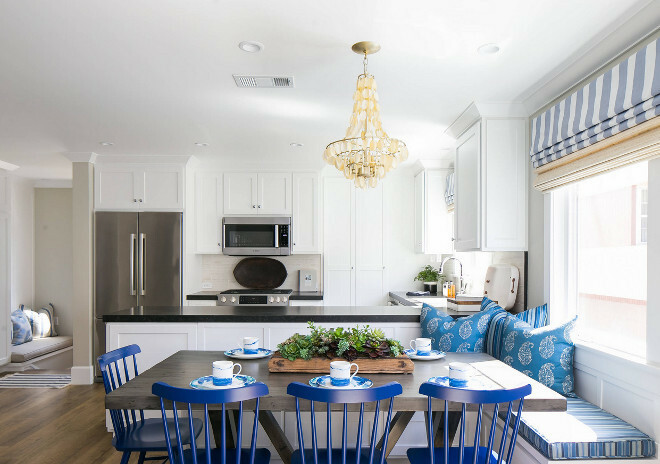 Decorative elements such as lighting, furniture and decor can bring more personality to a classic kitchen. Many thanks to the designers for sharing the details above! 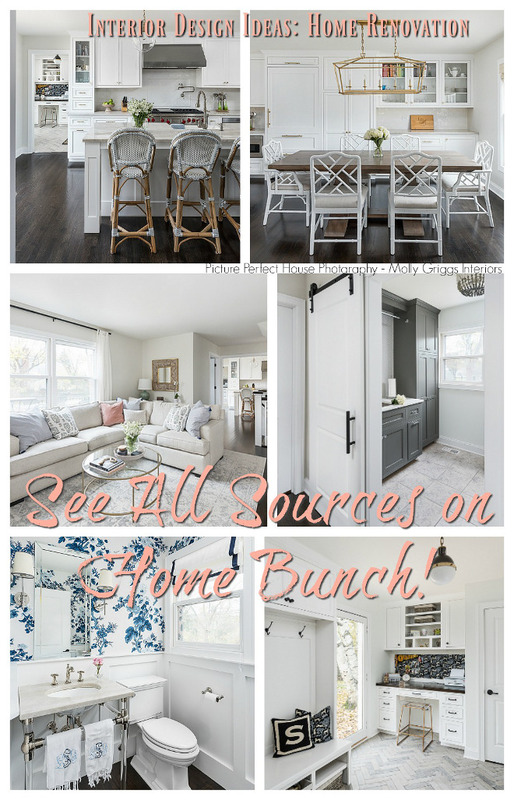 Sources: 1: Finish Point Trim & Millwork, Inc. 2 & 3: Advance Design Studio, Ltd. 4 & 5: Brooke Wagner Design. 6 & 7: Revival Construction. 8: Feldman Architecture, Inc. 9: FGY Architects. 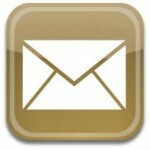 10: Pearson Design Group. 11 & 12: Muratore Construction + Design. 13 & 14: L. Kae Interiors. 15: Pecora Brothers, Inc. 16: Monarch Development and Design. I love the craftsman kitchen . It’s perfect for me . We are building and I just need to know all the sources from that kitchen . 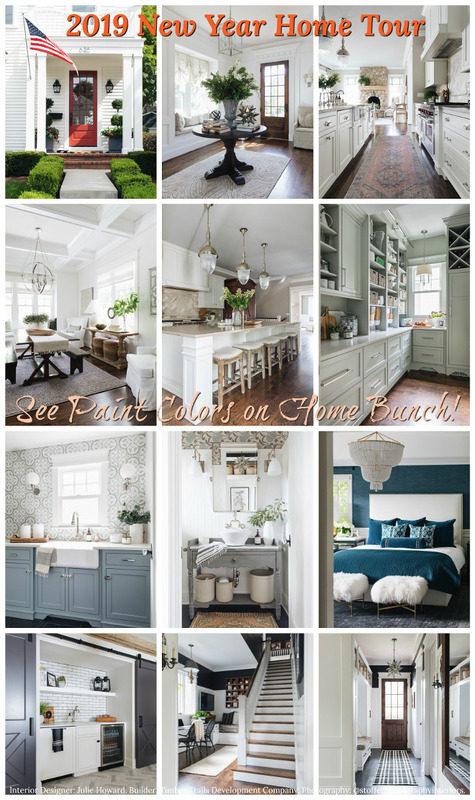 The grey backsplash , cabinets , hardware, countertops, paint color for cabinets, sink and faucet . Anything else I left out ?? Thanks in advance for your help .